Over the past 7 years I’ve got pretty used to using batteries to power myself as I travel around Tokyo and beyond. Usually though the batteries are fairly lightweight, and output a maximum of 12 volts. Last month, I was happy to be approached by UK Trade and Investment (UKTI) Japan, based at the British Embassy here in Tokyo. 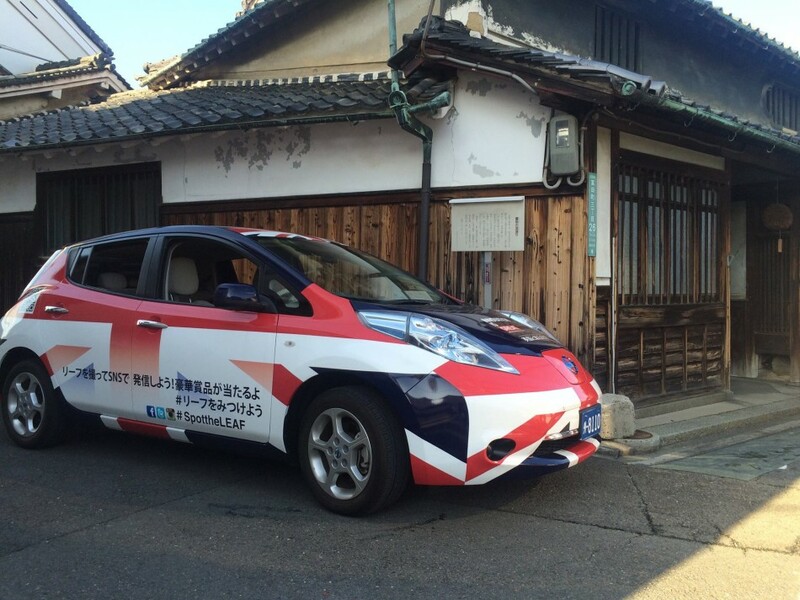 They were planning a tour of Japan in an electric vehicle – the Nissan Leaf, one of the most popular electric vehicles on the road today, and one that also happens to be produced in Sunderland, in the North of England. 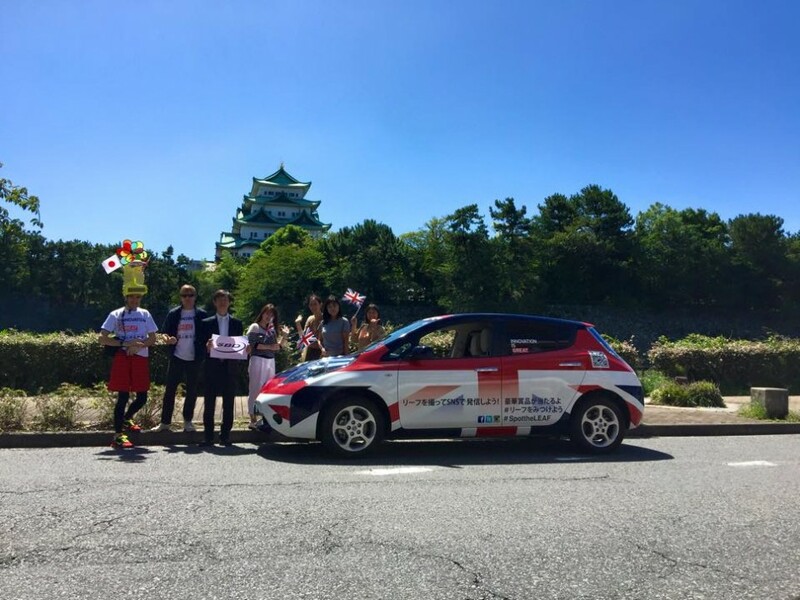 Would I be interested in being the driver for a leg of the tour, from Nagoya to Kyoto? The novelty of driving a giant electric Union Jack was quite appealing, and best of all I wouldn’t have to carry the battery in a bag around my waist! Along the route we stopped off at a couple of UK-related businesses. 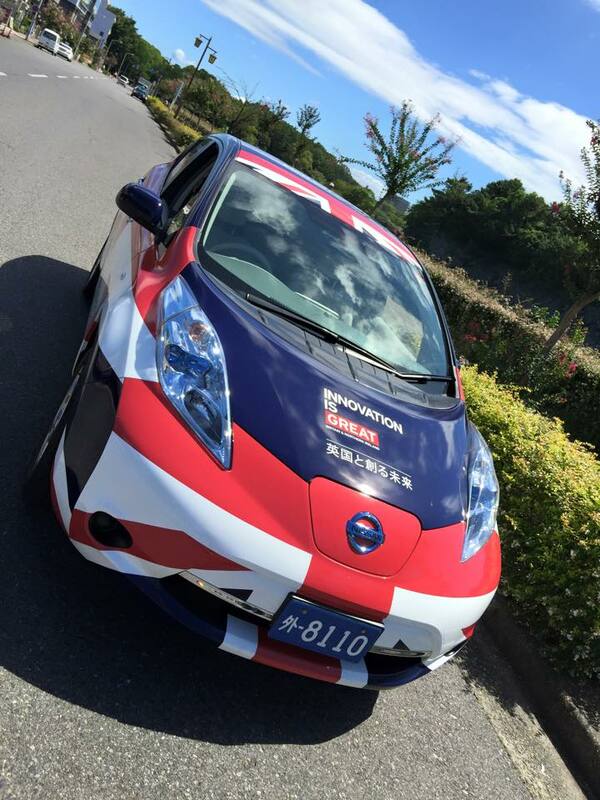 The first was SBD Japan, a UK company with a branch in Nagoya, specialising in car technology / connectivity / security. Following that we headed on down the motorway towards Kyoto, stopping off for lunch and a 30 minute recharge at a service area. 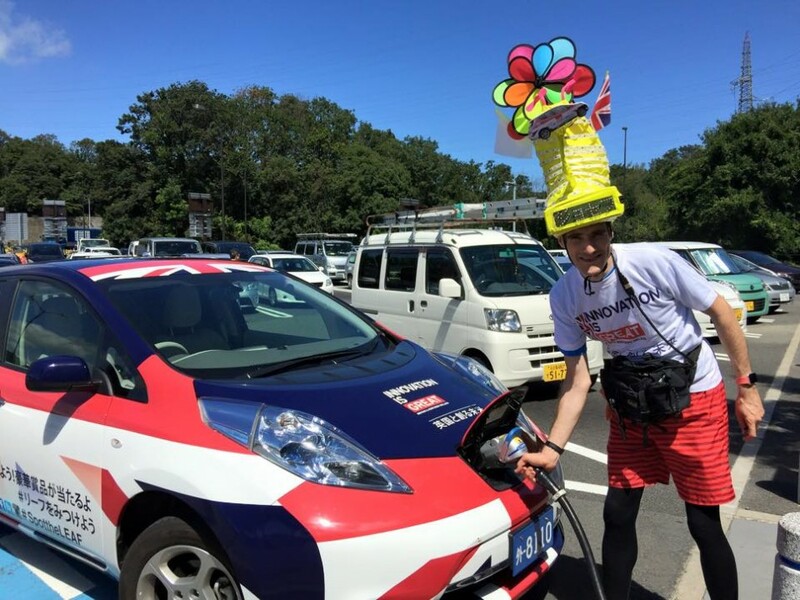 The combination of the Union Jack car with its futuristic charger, and my LED hat went down very well with everyone there; it was the most fun I can ever remember having at a motorway service station! Kuninocho are planning on expanding production to the UK next year, helping meet the growing demand for Japanese sake over in Europe. Leaving there it was time to head for the Shinkansen, on which I continued my journey west to Hiroshima for a running / TV project (more on that in due course). 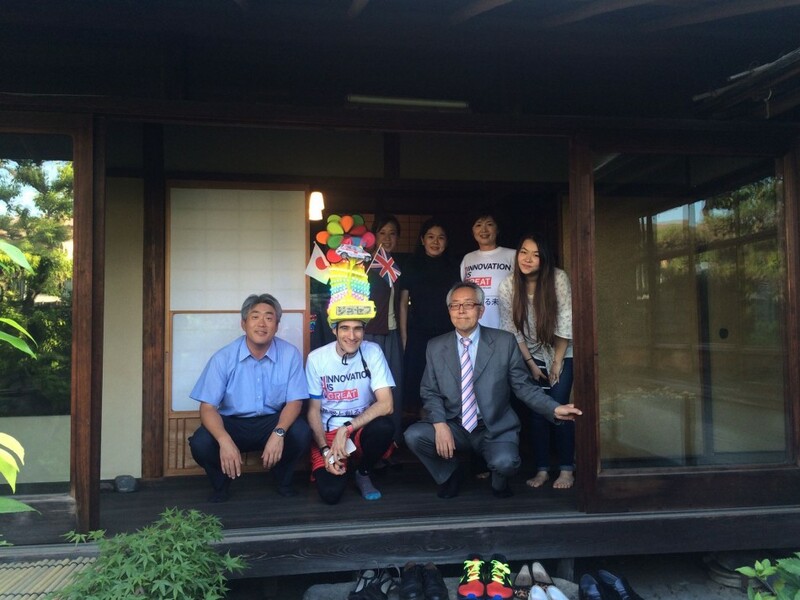 Many thanks to the UKTI team and all those we visited along the way for making it such a memorable day.